What's behind the expansion of medical facilities in Spokane and Kootenai counties? WSU hopes to admit the first class of its Spokane medical school in 2017. It's no accident that area hospitals are adding new buildings, hiring staff or upgrading facilities. "We are the largest health center between Seattle and Minneapolis," says Todd Mielke, CEO of Greater Spokane Incorporated, the region's economic development agency and chamber of commerce. With the baby boomer generation aging and more people with access to health care as a result of the Affordable Care Act, Mielke says there's greater demand for medical services, and providers will need bigger and better facilities. He also says the health care industry is bracing for a significant shortage of workers. The region, says Mielke, is poised to capitalize on that growth under GSI's Vision 2030 project. Anne Marie Axworthy, project manager, says it's based on a 2010 study that found if Spokane and the region could create a "critical mass" of medical and life science education, it could result in 9,000 jobs and have a $1.7 billion annual economic impact over a 20-year period. Having more medical education, such as Washington State University's new Spokane-based medical school, will bring in new sectors, such as pharmaceuticals, attracted to research conducted at these institutions, she says. In the meantime, expect construction around hospitals. Earlier this year, Deaconess Hospital opened its first freestanding, 24-hour emergency department on North Division Street. It has 15 private patient rooms with radiology and lab services on-site, as well as emergency physicians, nurses and other staff. However, it has no overnight facilities. Over the summer, Rockwood Health System opened its Integrated Sports Medicine practice on the South Hill, offering athletes and returning soldiers physical therapy and injury treatment. One unique feature of the clinic is its anti-gravity treadmill, a device that “unweights” its user by encasing their lower body in pressurized air. Out in the Valley, Deaconess opened an outpatient surgery center for orthopedics and obstetrics, as well as ear, nose and throat specialties. Providence, working with Fairfax Behavioral Health, currently is building a 100-bed psychiatric hospital. Construction on the $34 million, three-story facility will begin this fall; it will begin taking patients in June 2018. The new hospital will be located at Providence's Children's Hospital campus on the corner of Fifth Avenue and Browne Street. The existing building, originally constructed in 1954, will be razed to make way for the new facility. According to Providence spokeswoman Jennifer Semenza, more staff will be hired for the facility. However, exact numbers haven't been determined. Earlier this year, Kootenai Health began work on a $10.5 million, two-story, 22,000-square-foot expansion project at its Post Falls campus. It's expected to be complete in December 2016, and is designed to allow for better patient drop-off. The expansion will give its current 108 physicians more elbow room and allow the facility to offer treatments in family and internal medicine, obstetrics and gynecology, with more room for lab work and heart clinics. Kootenai Health is also expanding its emergency department, which will add 7,000 square feet of new space, increasing capacity to 36 rooms and allowing it to serve at least 55,000 patients annually. It'll also have a new lobby, entrance and ambulance bays. All these new facilities will need doctors. 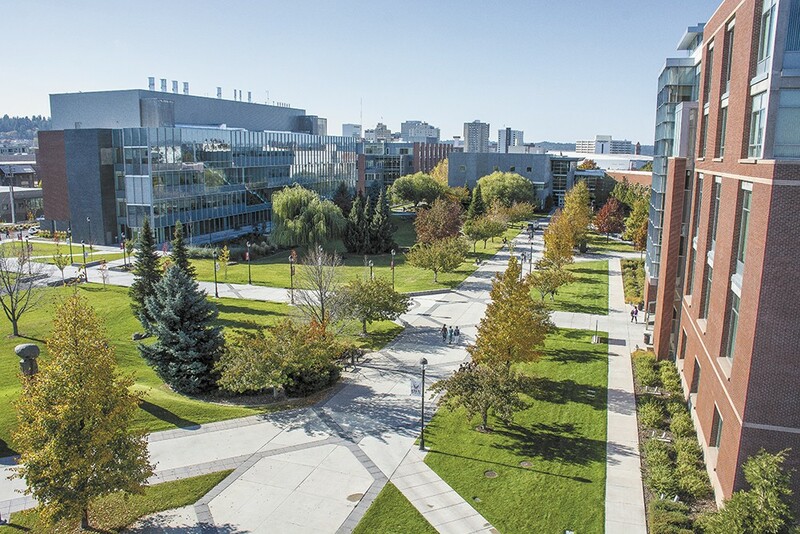 Earlier this year, the University of Washington announced a partnership with Gonzaga University that will result in a record 60 medical students beginning their education in Spokane this fall. Another 40 second-year students will study at the campus. Meanwhile, Washington State University is working toward opening its medical school in Spokane. It could have it accreditation by this fall, and its first class could be admitted by 2017.